Last month, President Trump hailed Turkey's release of American pastor Andrew Brunson as a “tremendous” step toward better relations between the two countries. The administration is betting that, after the crisis that rocked U.S.-Turkey relations over the summer, bilateral ties will normalize. Reality check: With the exception of a brief moment after Trump was elected, the U.S.-Turkey relationship has been rife with tension, and the two countries’ interests still do not align. The U.S. and Turkey are divided over Syria, Ankara’s ties to Moscow, the fate of Fethullah Gulen — the alleged mastermind of the failed 2016 coup attempt — and the detention of Americans in Turkey. Background: Turkey sits at the geographic center of some of the United States’ most pressing foreign-policy concerns, including the Syrian civil war, Iran sanctions, Russian aggression in Europe and Eastern Mediterranean stability. But Turkey opposes the U.S. on these issues: Turkish leadership wants to change the regional order that facilitates the exercise of American power in Ankara’s neighborhood and has taken steps to undermine American policy. As Brunson was being released, Turkish Defense Minister Hulusi Akar confirmed that Turkey would purchase Russia’s S-400 air defense system, which could provide Moscow with information about how the U.S.-made F-35 jet operates. (Turkey has to rely on Russian software, spare parts and technicians to maintain the system, giving them access to Turkey’s F-35 fleet.) 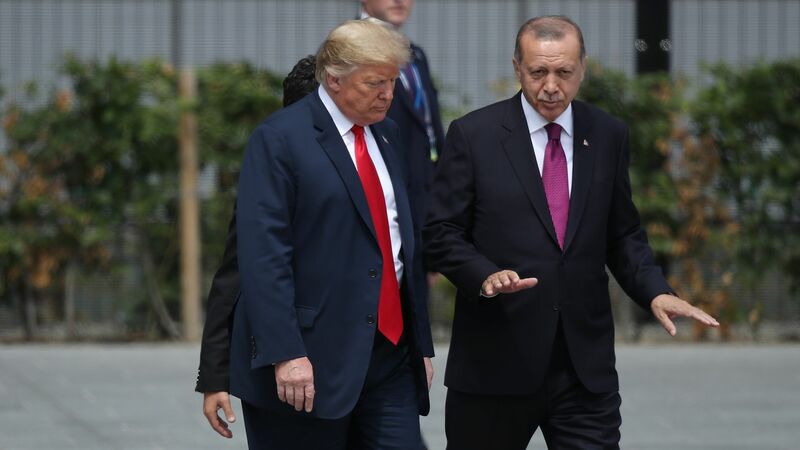 There has been speculation inside the Beltway that Turkey will walk away from the deal if U.S.-Turkey relations improve. That seems unlikely, but Erdogan is capable of sudden policy swings. The big picture: The Brunson case indicates that applying public pressure on Erdogan works. The Trump administration could have much to gain by maintaining such pressure, since, in addition to the above issues, Turkey continues to unjustly imprison other Americans and jails more journalists than any other country in the world. Steven A. Cook is a senior fellow for Middle East and Africa studies at the Council on Foreign Relations. Go deeper: Read Steven Cook’s full report at the Council on Foreign Relations.